The Tasmanian duck shooting season begins tomorrow and duck rescuers are poised ready to spare native ducks becoming part of the annual slaughter. Members of the Animals Tasmania Duck Rescue Team are ready to protect native ducks on the eve of the 2017 duck shooting season. Concerned citizens will take to wetlands in an effort to help save native waterbirds. 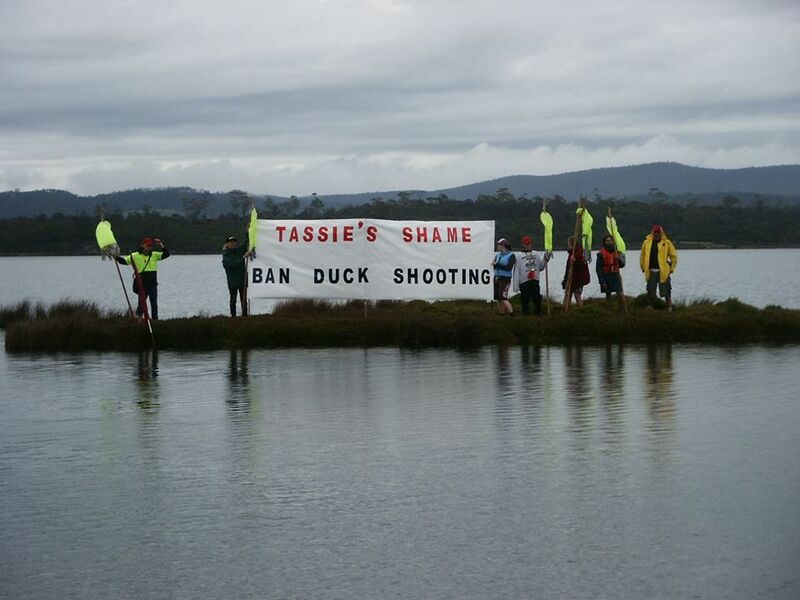 “The failure of the Tasmanian Government to fully protect native ducks means we are needed to help save waterbirds caught in the firing line. We can expect yet again to see horrendous suffering as ducks are wounded and left to die a lingering death from starvation and exposure. Dry conditions across mainland Australia have left many key wetlands in poor health, impacting native waterbird populations, and sending birds south. The most recent aerial survey by Prof. Richard Kingsford of UNSW shows numbers of native waterbirds at the lowest ever recorded levels. This raises questions over the long-term viability of some species.